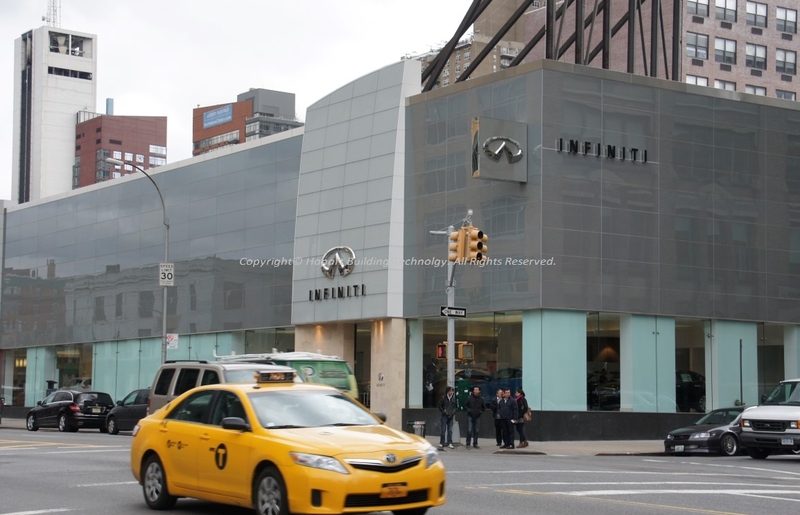 Infiniti, the luxury division of Nissan Motor Co., Ltd. proposed a new, comprehensive Infiniti Retail Environment Design Initiative (IREDI) that establishes a unique, new exterior/interior look and signage for Infiniti dealers in the City of New York and other dealerships all over the United States. 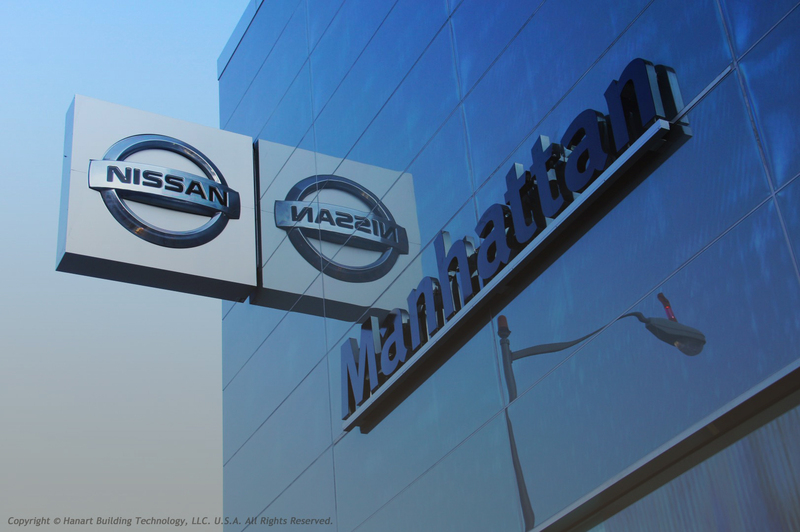 Hanart was selected to present Infiniti’s new design concept and features forms offering energetic and modern facade with an accent on unique materials with natural lighting. The physical layout of this project leads from lobby to sales lounge to product gallery, providing a dramatic reveal of the Infiniti vehicles. Hanart also installed interior glass partitions for new sales consulting, vehicle delivery and service lounge. 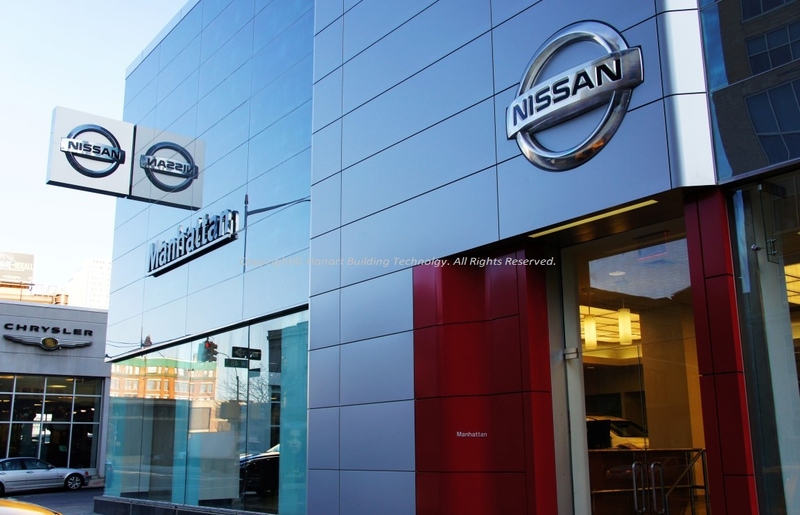 The program is adapted to an existing Nissan/ Infiniti dealership in Manhattan with several levels of retrofitting works. 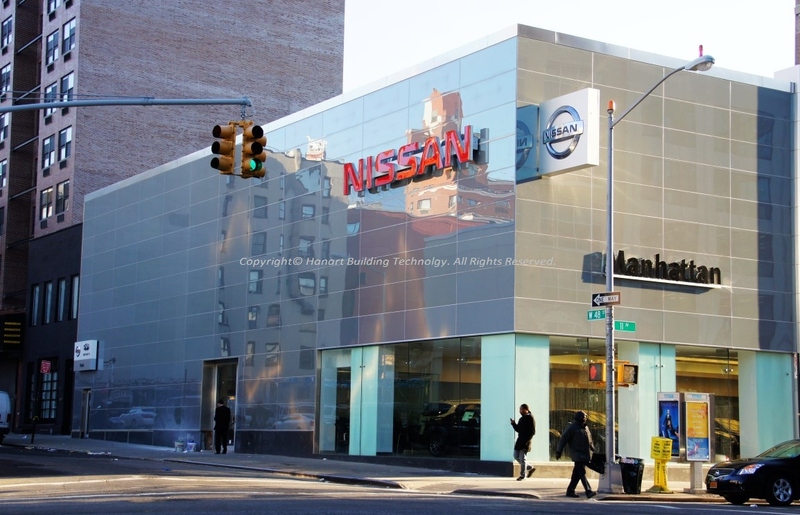 Hanart Building Technology, LLC was chosen to provide the first remodeled dealership in the City of New York. 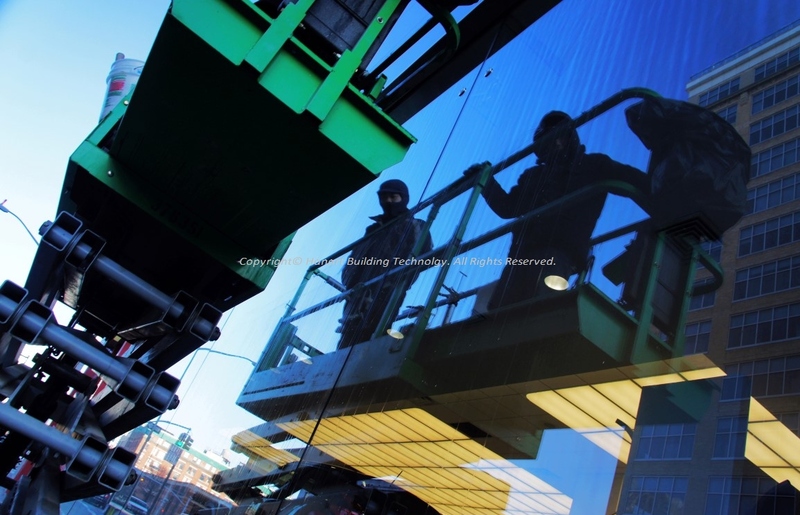 The construction was completed in the summer of 2012. 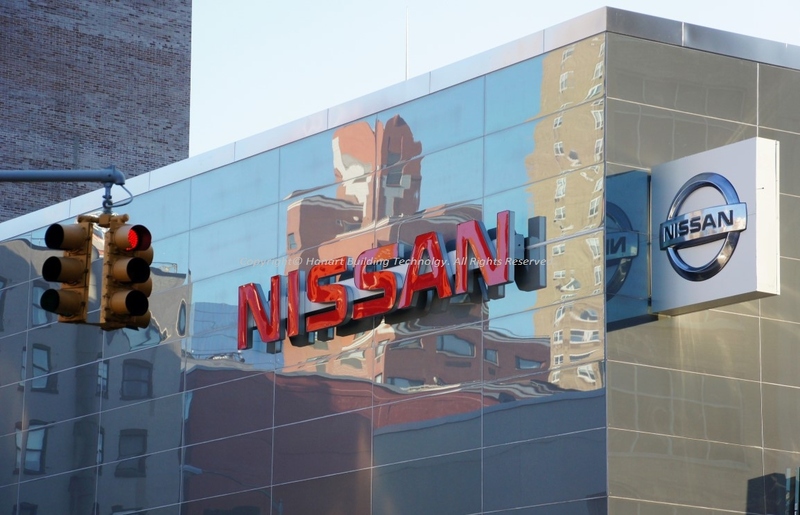 The scope of work including furnish and install 12,000 SF stick build 4-side structural glazed curtain wall (Solar cool gray tempered), 2,680 SF storefront structural glass wall (½” clear tempered) and IREDI Elevated FGW system curtain wall. 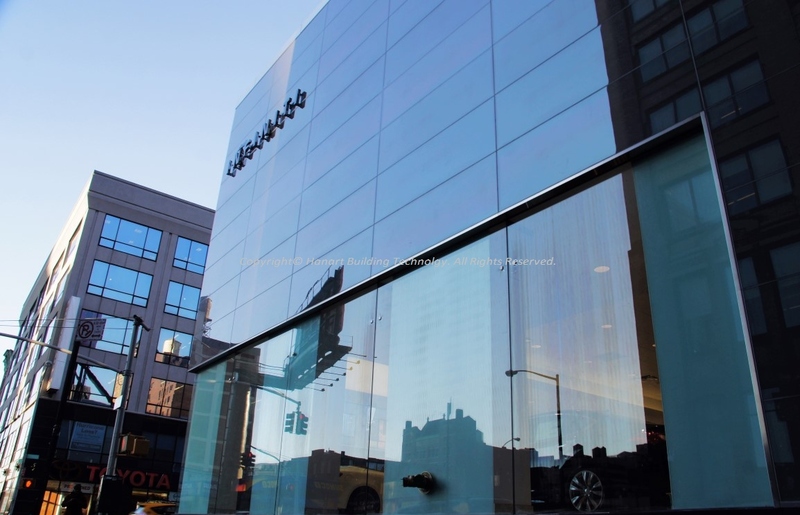 All curtain wall panels approximate size 3’ w x 9’ h. Storefront structural glass wall system is stabilize with structural fin at location as indicated on every vertical joints secure and attach with patch fitting. IREDI Elevated FGW wall system is configured with standard striated ½” thick tempered glass by Oldcastle. Panels to be fixed of segmented framing structural glazed.